Board and card games were popular in colonial New Zealand, partly because there wasn’t much else to do for entertainment. Māori had developed several board games, some of which are still played in the 21st century. New Zealand players have excelled internationally at many of the best-known games, and New Zealanders have developed unique card and board games. Researchers disagree over whether Māori had board games before contact with Europeans, but Māori certainly developed their own board games. These included mengamenga and mū tōrere, both of which were played with stones on a marked board. Many Māori also became keen and skilled players of European games, including draughts, chess and card games. Some Māori religious movements adopted the images on playing cards as religious symbols. In the 19th century British settlers brought many games to New Zealand. Card and board games were a good way to pass the time onboard ship and in the new colony, where there were few entertainment opportunities. Many households had games and some, including card games, chess and dominoes, are still played in the 2000s. New Zealand’s first chess club started in Dunedin in 1863. 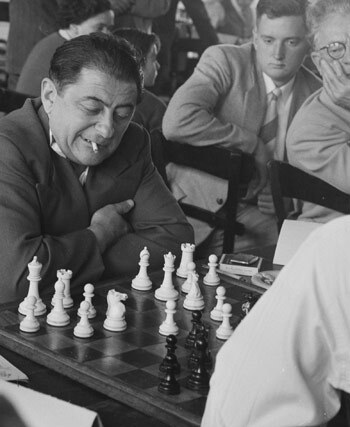 Top New Zealand chess players have included Robert Wade, who was British champion in 1952 and 1970, and Estonian-born Ortvin Sarapu. Go, an ancient Chinese and Japanese game, has been played in New Zealand for many years. Bridge is a popular card game, and in 2012 there were 109 bridge clubs around the country. New Zealand players have contested international competitions since 1964. Scrabble is mainly played non-competitively, but New Zealander Nigel Richards has twice been world champion. Monopoly is also popular, and a special New Zealand edition has been produced. Other games that have been developed in New Zealand include the Educational Tour of New Zealand and Cathedral. There is a New Zealand Games Association to encourage the industry. Crosswords and other word puzzles have been popular in New Zealand since at least the 1880s. In the 2000s New Zealander Simon Shuker sold his word puzzles Code-cracker and Take 5 worldwide. Sudoku, a Japanese number game, was popularised around the world by New Zealander Wayne Gould. Gambling, especially on card games, was popular with all social classes in the 19th century, including Māori, gentlemen and miners. During the world wars and the economic depression of the 1930s men gambled to pass the time. The first licensed casino opened in Christchurch in the 1990s, and in 2009 Sky City in Auckland launched a training school for poker dealers.